Black and white female polo shirts. Female polo shirts. Design template. Vector. 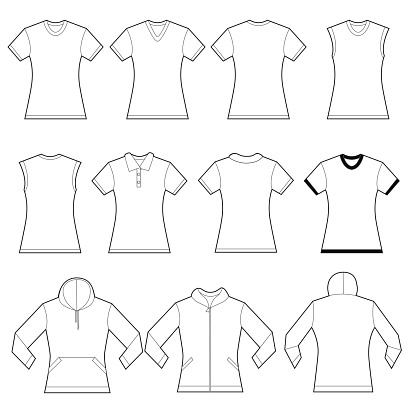 Female t-shirts. Design template. Vector. Blank Women's t-shirt and singlet. Women t-shirt raglan short sleeve.